3. Next, select 15 blogs/bloggers that you've recently discovered or follow regularly. ( I would add, pick blog or bloggers that are excellent! ) 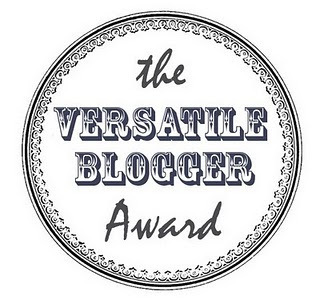 Nominate those 15 bloggers for the Versatile Bloggers Award -- You might include a link to this site. Dan nominasi buat selanjutnya adalah... Err..
- Sasa yang udah ngasih comment di postku. Thx ya! 7. Always trying to make proud my parent.